When it comes to Releases it has been quiet for a while around the Dresden DJ Team Brothers Incognito, which doesn’t mean the lads haven been active. Besides DJ Sets on weekends, lots of hours have been spent in the studio. Often it failed due to own aspirations and self-criticism. Now the two have completed two tracks though, they are proud of and which mercilessly reveal what they stand for: their untamed love for House! 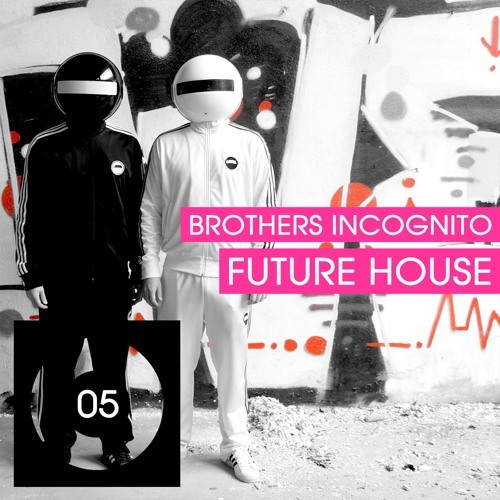 In 14 years together, they never cared for random trends, so the EP name FUTURE HOUSE is somewhat ironic. It comes down to the tracks just being what House means to the Brothers and what they have always done. With a demanding Bassline and spirited Vocal Samples, “Pressure” fits into the new curios genre Future House. In “Feel it” the Bassline also plays a major role, but here the positive Goosebump-Vocals by Keena and the Chords, deliver a great portion of Summer and Feeling of Freedom. The Brothers got to know the Luckenwald colleague Ohrgasmen at a joined gig. With his House Set, which was far from the common and usual that is heard in clubs, he immediately played himself into the hearts of the two. He is down in Nightlife since 2013, and has already released some tracks worth listening to. With his Remix of “Feel it” he emphasizes, that they are on the same Level. He uses Vocals, alters the Bassline and Chords, and adds some own housy elements. His interpretation quickly gets down to the point and therefore rather compact in length – a Remix which is Radio capable.